Wisconsin should drop its fight to preserve an unneeded, vote-suppressing, voter identification requirement and move to join the five states that register eligible citizens automatically when they do business at motor vehicle and other state offices, Common Cause says in a report released yesterday. Protecting the Vote in 2016: A Look at 11 Swing States praises the state’s use of online registration and same day registration, allowing voters to register at the same time they cast their ballots. It also rates the state “excellent” for using voting machines that provide voters with a paper record and for its refusal to accept ballots cast using the internet. Those practices enhance ballot security, the authors argue. 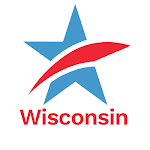 "This is the first presidential election in which Wisconsinites will need to show one of a fairly narrow array of photo ID in order to cast a vote and have it count,” said Jay Heck, executive director of Common Cause in Wisconsin. “We urge everyone to check ahead of time – now would be best – to ensure they have what they need to have their voice heard on November 8th." The report is intended to serve as a guidebook for voters seeking to navigate state laws impacting their exercise of the right to vote. It encourages every eligible voter to register and cast a ballot and emphasizes that studies show that those who make a plan, including how and where to vote, are more likely to follow through and succeed. Knowing what to expect at the polling place on Election Day helps voters flesh out such a plan and knowing your rights assists you in securing your ballot. In addition to Wisconsin, the report focuses on the swing states of Colorado, Iowa, Florida, Michigan, Nevada, New Hampshire, North Carolina, Ohio, Pennsylvania, and Virginia. The report provides a comprehensive overview of voting practices – from how voters register to what they can expect at the polling place, to what states do to ensure ballots are accurately counted – in 11 swing states where races are tight and single votes can make a difference. Voter ID: State requirements for voter identification at the precinct, noting whether the laws are fair or vote-suppressive. Internet Ballot Transmission: State laws on the transmission of marked ballots over the internet, where because of the limits of current technology they can be intercepted and undetectably altered. 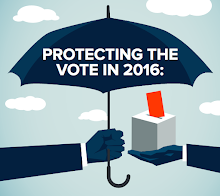 Authored by Allegra Chapman, Susannah Goodman and Dale Eisman of Common Cause and Pamela Smith of Verified Voting, the report also aims to encourage election officials, state administrators, and legislators to improve existing election systems. America has no perfect voting system; all states could do more to provide access to voters and upgrade technology and safety measures. States that scored “needs improvement” or “unsatisfactory” in our ratings should heed the recommendations to improve their systems. To read the full report and report cards on each of the battleground states, click here. Swing State Report Faults Wisconsin Voter ID Law But Praises Other Voting MeasuresTweet this!